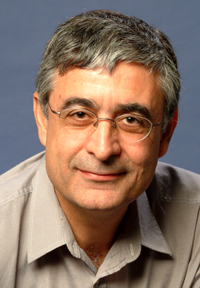 Dr. Eleftherios Diamandis, LMP’s Chief, Clinical Biochemistry, is one of this year’s recipients of the JJ Berry Smith Doctoral Supervision Award from the University of Toronto which recognizes outstanding performance in the multiple roles associated with doctoral (PhD, EdD, DMA, SJD) supervision. fostering a strong sense of academic integrity. Dr. Eleftherios Diamandisis Chief,Clinical Biochemistry at UHN LMP and Mount Sinai Hospital, the Hold’em for Life Chair in Prostate Cancer Biomarkers and Professor & Head, Clinical Biochemistry, in the Department of Laboratory Medicine and Pathobiology, University of Toronto. His research activities revolve around discovery and validation of cancer biomarkers, proteomics, mass spectrometry and translational research. In his 27 years at the Department of Laboratory Medicine and Pathobiology, he has supervised 38 doctoral students.